Amateur Bodybuilder Of The Week: Fit Like Plitt! The weight room is a second home to Jordan. Lifting is connected to bonds in his DNA. His innovative style and intensity come from rules formulated by Greg Plitt! My father was my personal trainer, nutritionist, and chiropractor growing up. His love for the gym and lifting weights shaped me into the person I am today, which I'm thankful for. My father told my brothers and I (as children) to do push-ups, pull-ups, and sit-ups every night in exchange for weekly allowance. I always tried to outdo my older brother. I grew up playing many sports for my father who was often the head coach. He always showed me new exercises to improve my strength, speed, and agility to make me a better athlete. At age 19, I moved away to college and started lifting weights seriously when I weighed about 160 pounds. I fell in love with the gains and the transformation I experienced. I was amazed at all the muscles I could see when my body fat dropped into the single digits. Bodybuilding is an art, and I look at myself as an artist. My body is a lifetime sculpting project. Seeing my progress through photos drives me to get better. I love the bodybuilding lifestyle. Eating healthy and giving it 100 percent in the gym every day gives me energy, strength, and confidence to take on any task. My father motivated me to be a bodybuilder. He's always up to date on the latest nutrition information. When I need advice to get stronger or live healthier, I go to him. I remember going to the gym with him early in morning so he could show me how to lift properly. After the gym, we went home and made a delicious protein smoothie, which made the gym time worth it. Greg Plitt has been the biggest source of inspiration to me. When I need a new workout or extra motivation, I go to his website. He makes me a better person and helps me focus on my transformation goals. My future bodybuilding plans are to say in shape and live healthy. I want to be able to step onstage at anytime. 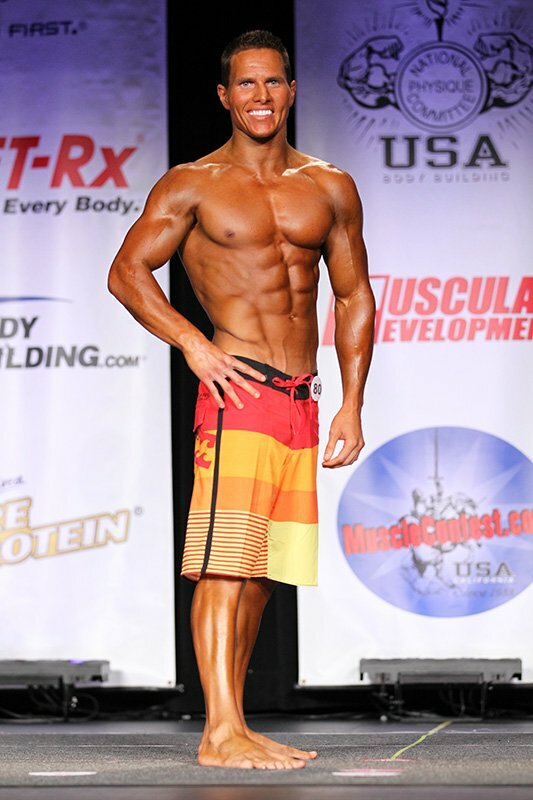 I eventually want to compete in the WBFF and continue competing in men's physique. My longtime goal is to be on the cover of a fitness magazine. My goal is to work on the financial side of a supplement or fitness company. Good habits are the key to all success. Bad habits are the unlocked door to failure. Form good habits and become their slave. My favorite bodybuilder is Greg Plitt. He provides me with confidence and motivation to be better every day. Many of my unique exercises and supplementation programs come from Greg. People on BodySpace are motivating. They help keep my drive alive. BodySpace is excellent to post your stats and progress pictures to see how far you have come. There are many articles on the site that helped me with contest prep and nutrition.